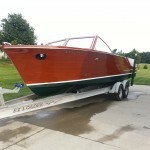 Original bottom that is tight and boat has been in the water each year. 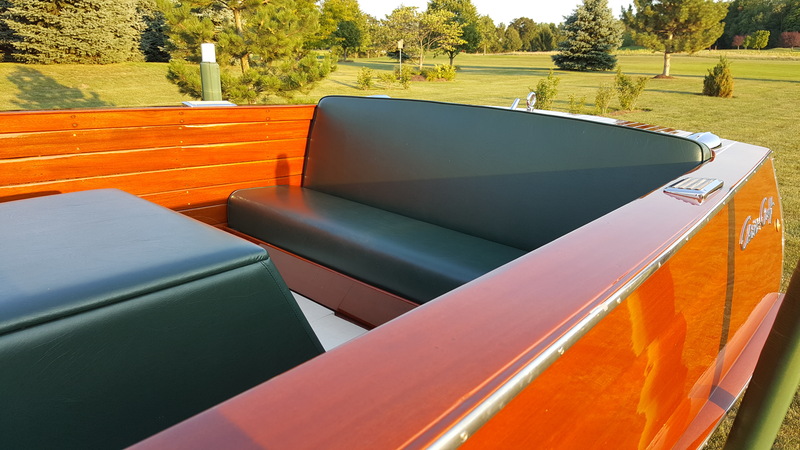 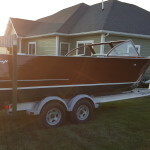 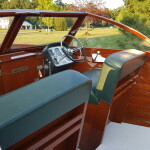 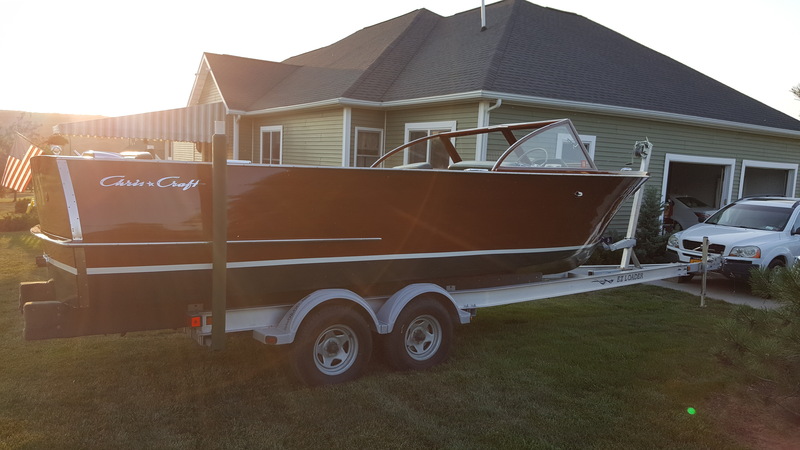 1 1/2 years ago entire boat received 3 more coats of varnish, the complete deck was refinished and re-stripped, and the bottom was repainted as well. 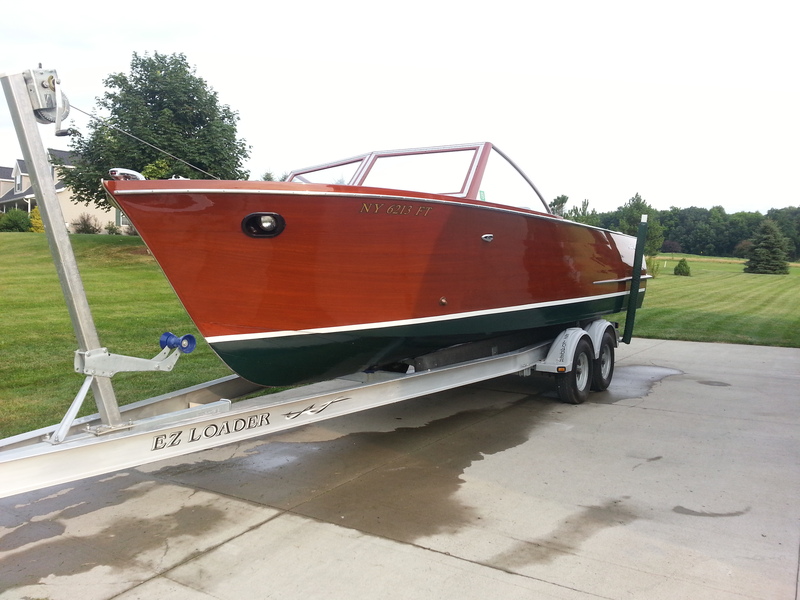 This is a great boat for any type of water. 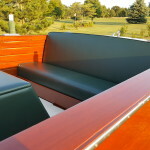 Passengers will always stay dry and will easily accommodate 8 to 10 people. 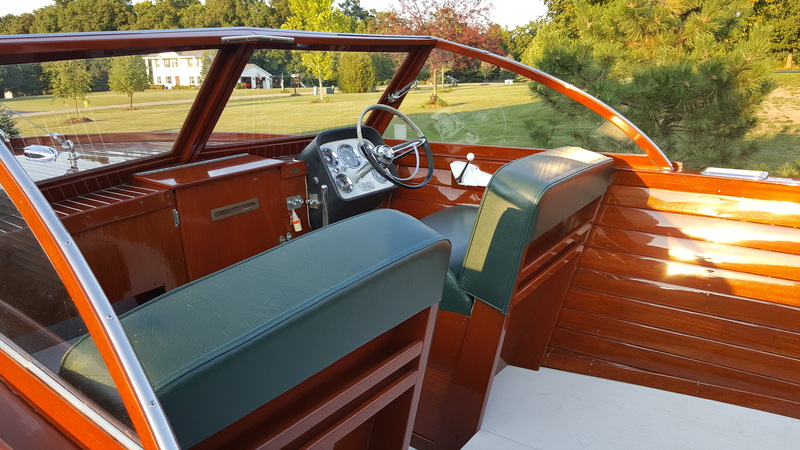 As Charlie says, this boat has it’s own dance floor! 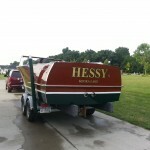 Hessy rides on a 2005 E-Z Loader 6,000lb. 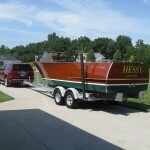 capacity tandem aluminum I-Beam trailer that was purchased new. 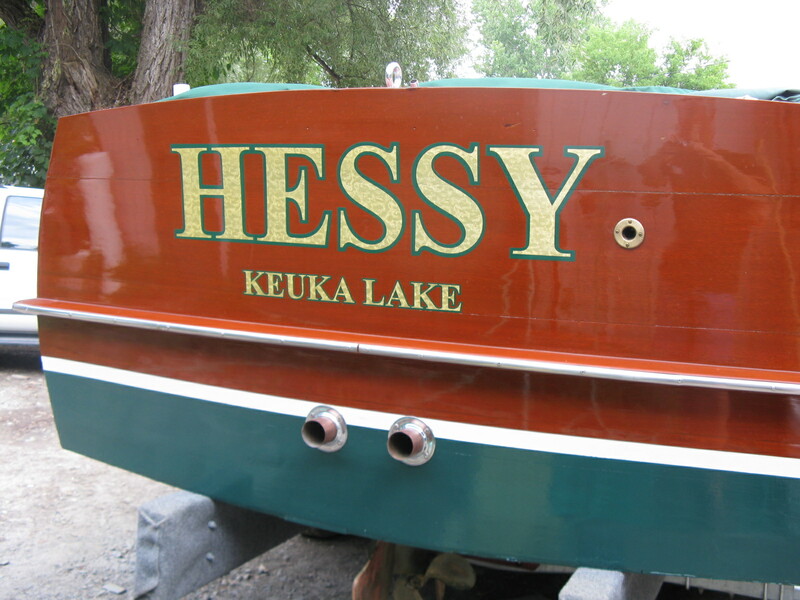 Hessy currently resides at Keuka Lake, located in the heart of the Finger Lakes in Upstate New York. 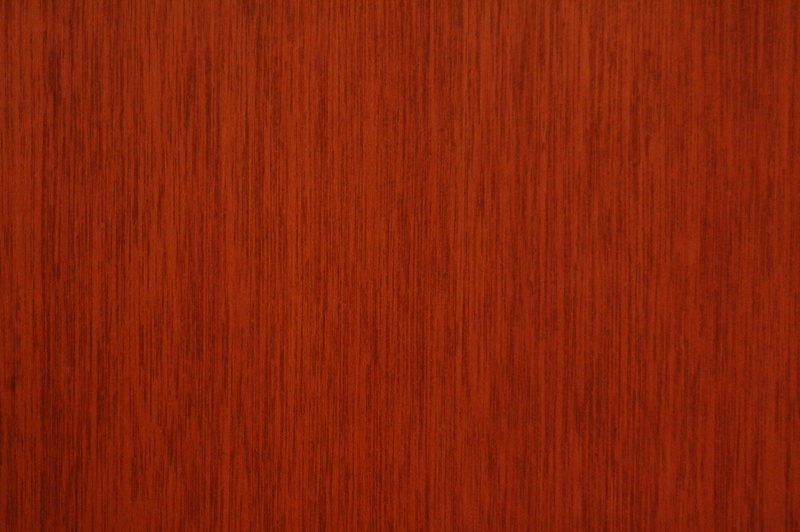 When not being used, she stays out of the sun in a barn. 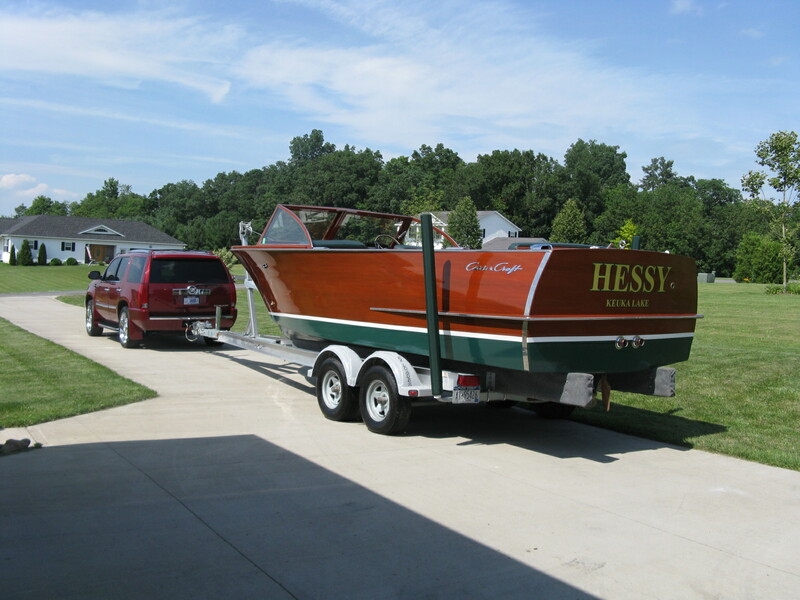 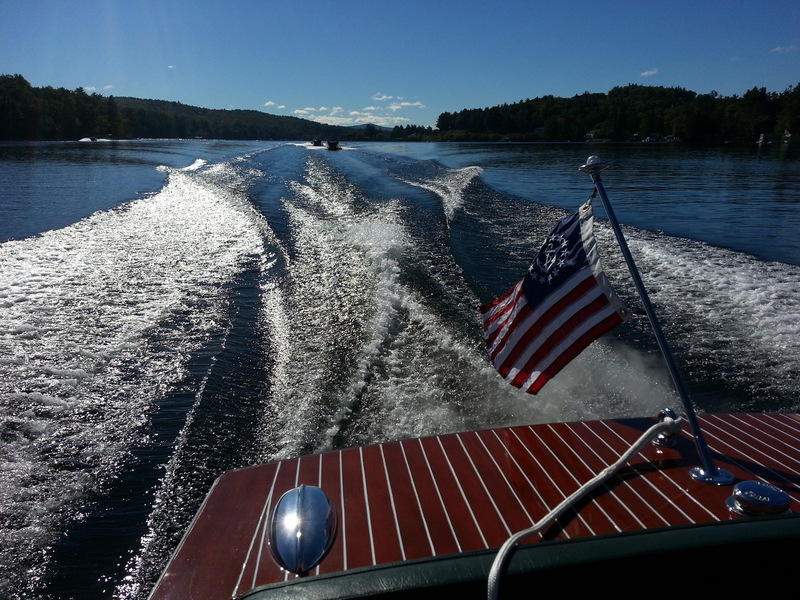 Hessy has traveled back to Lake Winnipesaukee and Smith Mountain Lake, Virginia. 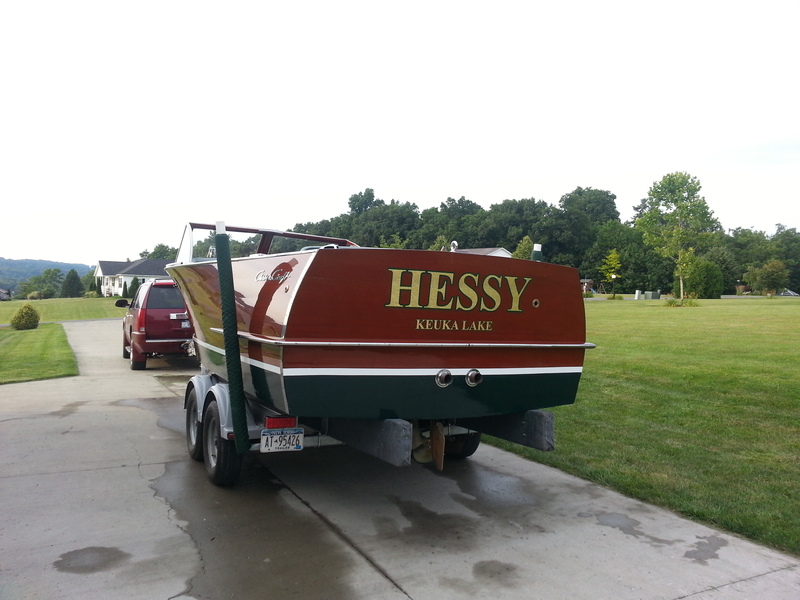 Hessy is scheduled to go to Muskoka, Ontario this coming September. 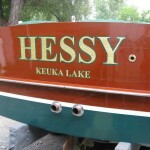 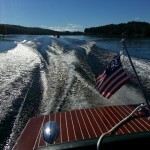 To view some of the events that Hessy has participated in, please visit http://www.winecountryclassicboats.com/ (A chapter of ACBS).